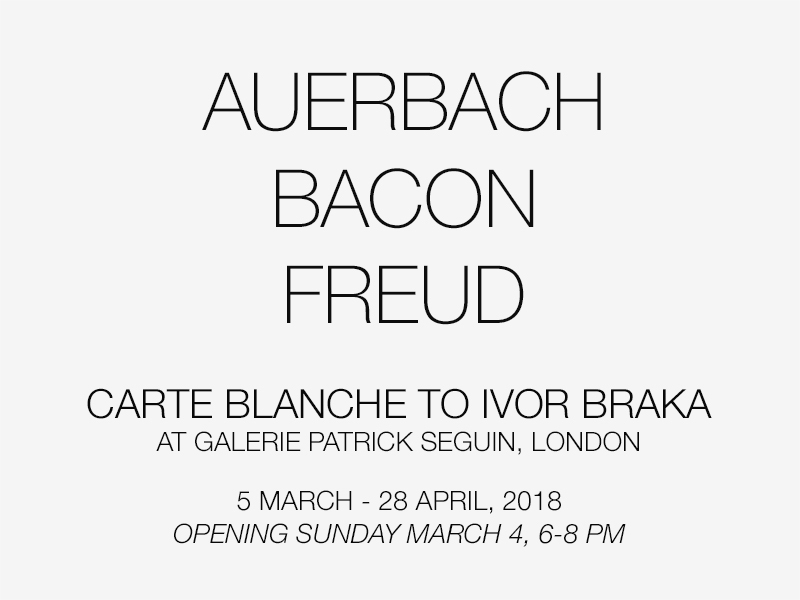 Galerie Patrick Seguin is pleased to announce its first “Carte Blanche” at its London gallery. In homage to the city of London, the gallery has decided to present works by prominent British artists Frank Auerbach, Francis Bacon and Lucian Freud that stand apart from any contemporary art movements. In an era principally championing abstraction, each of these artists shared a passionate commitment to scrutinising life and to showing the essence of what they saw. The different paintings, selected with Ivor Braka, highlight the emphasis on the possibilities of what paint can do to approximate reality and a belief in the power of oil paint shared by all three artists at a time when conceptual art was to the fore.